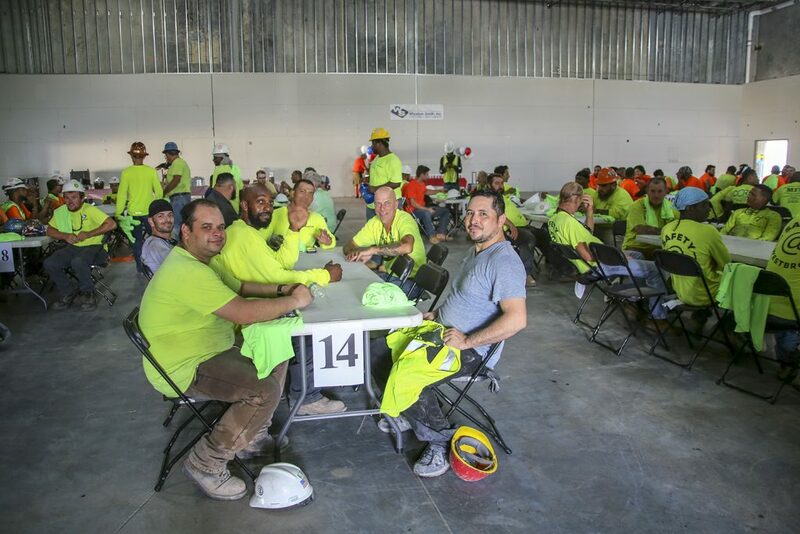 Wharton-Smith Celebrates Topping Out of OCPS Site 37 Relief Middle School | Wharton Smith, Inc. Custom designed t-shirts were handed out and over 125 prizes totaling $3,500 were raffled off to subcontractors on the job. Giveaways such as gift cards, small tools, and an HDTV were generously donated by subcontractors and vendors. The $30.3 million middle school consists of four new multi-story buildings totaling approximately 169,000 s.f. and will also include outdoor physical education facilities. The new campus is being built on a 25.56-acre greenfield site and will have a maximum capacity of 1,213 students. Wharton-Smith is providing construction management services on the project. Construction is on schedule and expected to be complete in the summer of 2019.